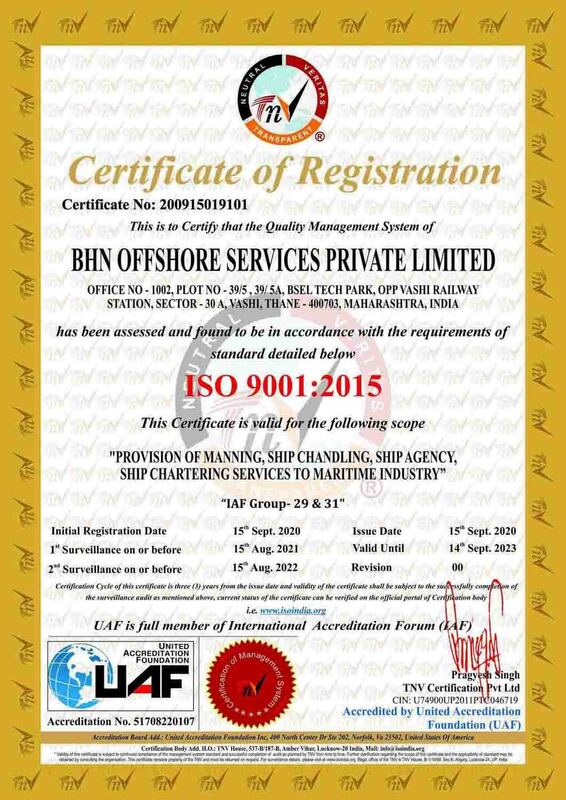 The information contained on this website is protected by copy right (C) of BHN Offshore Services Private Limited, proprietary information and is disclosed in confidence. It is the property of BHN Offshore Services Private Limited, and shall not be used, or reproduced without the express written consent of BHN Offshore Services Private Limited. If consent is given in whole or in part, this notice shall appear in any such reproduction.